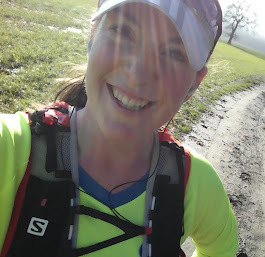 I find myself in a reflective mood about my running at the moment, and this is, I'm afraid, a bit of a self-indulgent post. I've been spending quite a lot of time tinkering with my training schedule and race plans for the next 12 months, as I work out how to best prepare myself for the 10in10 and beyond, but it's struck me that I'm getting so involved in my schedule, planning for the next race and filling in spreadsheets, that I've lost touch with what I've actually been doing. I've had a brilliant six months - better than I think I'd hoped for - with PBs at the half marathon and marathon distances, carrying the baton for a solo-marathon stage of the RelayGB world record attempt, and then discovering the wonderful world of running ultras, with 30 miles in July at my first Enigma race, followed a couple of weeks later with the Challenge Hub 50 miler, and then completing 90 miles along the Thames Path at the Toad two months after that. I'm also really lucky to have been able to share the success and progress of so many of my friends as they've taken on their first attempts at distances, achieved fantastic PBs, set records and recovered from injury. It's been a privilege and a joy to hear about how everyone has got on in their most recent endeavours, and I hope I've been able to support those who have had set-backs too. All in all, it's been fantastic and I can't quite believe what I've achieved recently. So, just for once, I'm going to take a moment to really remember those awesome races, the people I've met through them and the friends I've made, and how much I'm really loving being a runner at the moment! Love the sentiment behind this post! Congrats on an amazing year of running and here's to even better races to come!